Nightclubs these days need to be something really special and they should be designed with the best quality materials and attention to detail, so that the venue looks just as good the next day when the lights go on! They should also be designed with functionality in mind in order to generate more revenue through events and special functions. There are many facets to nightclub design. In the case of a multi-function venue, you would need to choose furniture that not only impresses but can be reorganised without much difficulty. This is where getting into the interior design element becomes the most exciting part of the design plan. Different types of wall coverings are a-plenty, from specially designed wallpaper to sculpted wall panels and laminated digital imagery, giving you lots of scope to create themed areas for a multi-function venue. Customer impressions of the entry part of the building should be afforded real consideration. A nightclub entrance, of course, needs to have a practical element for security purposes, but it should be combined with an aesthetic one to encourage a feeling of anticipation for the queueing crowds. Modern day nightclubbers-goers expect large, pristine bathroom facilities, the more luxurious the better and it is always better if the dance floor can be accessed from all sides, something that needs to be looked at and decided upon in the earlier stages. Practical elements should never be overlooked either. The importance of a utility room and storage areas for stock requires some focus. Putting thought into the ‘hidden areas’ will ensure the venue’s smooth running, just as bartenders having their own workstations will keep the bar flowing and the drinks orders coming in a-plenty. Square shaped bars look really modern and they create four different areas that have their own individual feel. They offer an opportunity to design really fantastic drinks displays, which, when placed centrally can be seen from all areas of the club. A regular straight bar would require quite a lot of space as it needs to be long enough to work effectively and not create too many long lines of queueing. 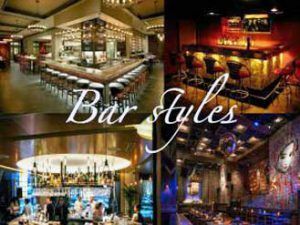 A long straight bar is a good idea for a nightclub that has a mixology type vibe, so that everyone can see the creators at work. A bar this shape needs a good number of bartenders to manage it which would be useful for events but on less busy nights, might not work as effectively. A U shape creates a great flow to the bar area and is easier to cover efficiently than a long straight bar. This type of bar really adds to the atmosphere and creates a convivial feeling in the earlier part of the evening before the busiest time hits. It is an opportunity for people to make them themselves comfortable and study the drinks menu in order to plan their orders in advance. An L-shaped bar is a commonly used shape that can easily be slotted into a corner. It is not as aesthetically pleasing as a long bar adorned with beautiful lighting and would probably not be the best choice as the main bar, rather an extra bar to serve the overspill from the central area. Julian Taylor Designs have built up years of experience designing clubs and high-end restaurants. We have yet to encounter a problem we have not been able to solve. For a design agency with all the answers, please get in touch.